The beauty of Miami is not restricted to its stunning beaches. The real estate of Miami, Florida is also touching the sky with a new level of growth. The newly developed residence community attracts a number of people around the world to invest in these modern communities. In Miami Dade County Florida, Dade Land Cove is a well-known real estate community. The city is dedicated to the waterfront apartment units, romantic gardens, and the popular public walks. The weather of Miami region is tropical with clear skies. Miami is popular especially for the winter tourism and during Spring break, it is a popular place for the teenagers to go wild and enjoy. In the whole Florida, the Miami Dade County is the most desirable place for living. The Dade Land Cove community was built in 1984 and has 20 units with 2stories. These floors are smoke-free and have basic amenities like high-speed internet, Washer/Dryer, Bathtub/Shower, and the AC fittings. The Dade Land Cove townhouses are located at 104th St and 79th Avenue in Miami. From the Dade Land Condos, you can enjoy the convenience and the luxury you have been searching so far. You can meditate and relax at the pool-side and the lush-green areas leave you feeling re-energized and take your breath away. For transportation, the Metrorail Green Line is just 13 Minutes walk away and Miami International Airport is just 25 minutes drive away. You can also find the shops and fine dining places in the heart of Kendall, Miami. Search for the Dade Land Cove for sale or rent in Miami at the https://dadelandcove.com. Here, the top-rated real estate provider in Florida will give you all the information including sold and pending units, floor plan with size and photos. At the website, you can get all the available listings with the exact location and price listing. So, visit the website now and avail the opportunity for your dream house. Miami is famous not just for its beaches but also the sky rise apartments and some of the best condos as well. There is so much to see, explore and enjoy at Miami. The area as a whole is developing thick and fast and this is why one can see a great deal of changes come up. The Dadeland Cove condominiums are definitely one of the most promising options. Dade land Cove is known to be a top real estate community and you can find plenty of apartments units, the romantic gardens and some of the well maintained public walks as well. So, spotting the best apartment to stay can be a little different unless you know what you are looking for. The Dadeland Cove condominiums deserve a special mention because they come with some of the finest amities one could ask for. From the owner’s lounge to the roof top pool with the sundeck facility, there is so much to enjoy here. The condos also offer 24-hour valet and concierge service as well. Not just the amenities, the Dadeland Cove condominiums enjoy a strategic location as you have so many amazing and entertaining things and activities located very nearby. These range from some of top chic brands to the Miami beach and even the hep partying joints as well. So no matter whether you are a nature lever who likes to bask in the sun at the Sea or a party animal who can’t stop grooving to the best beats, you have both within very easy reach. Check out all of this and then decide as to whether or not buying the best Dadeland Cove condominiums seems likes the right thing to do. They definitely have the best to offer to you and will help you live a luxurious life. When people hear the word “Miami” the first thing that comes to their mind is a beautiful location full of beaches and sky-high buildings. Buying a property in Miami is now an affordable and beneficial invest with a future return value. If you are interested in this beautiful area then Dade Land Cove Condos is the perfect option for you. You can invest in these condos without any second thought that how your life will be here and what will be the value that you will get in return. A number of high-rise buildings are waiting for the investment that offers you a luxurious lifestyle. Located at 10105 South West 77th Ct, Miami, Florida, the Dade Land Cove Condos is a perfect location for the property hunters in Miami. Here you will get to enjoy the beautiful sunny beaches, open restaurants, health & spa centers, sports centers, and shopping centers. All the top-class facilities are offered here that you have ever imagined in your dreams and this is the reason it is known as a world in itself. All these facilities will definitely impress you and help you take your decision of investing in this property. 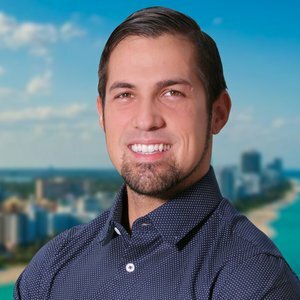 If you are impressed with this area and the features that Dade Land Cove Condos unit offers to its investors, you are suggested to visit their official real estate website https://dadelandcove.com/ to explore the BUY or RENT options that are available for you. Once you visit the website, you will see that real estate experts are available to help you. You can call them at the given contact number 0n the website or you can also have a chat session with them in the chat window. You will get the best help for your real estate queries. These experts will give you the best suggestions that will fit in your budget and fulfill all your requirements. Dadeland Cove condos are located in the heart of Miami and are home to some of the top beaches of all time. This newly developed community has managed to strike the right chords among too many real estate buyers and this is why there is a lot of demand for the property. The Dadeland Cove is one of the top real estate communities which come with some of the best amenities as well. if you are planning to make a good investment which will reap the right rewards for you in the times to come, choosing to buy Dadeland Cove condos looks to be a smart choice. One of the key reasons which have contributed to its astounding popularity has to be the fact that almost everything is located in very close distance. Even if you are looking to hop to the best beaches, you would have some very close-by. From, some of the top fine-dine restaurants to even the best of bars, discotheques, club, nightlife and the best of shopping options as well, you have everything in very close distance which means that you would have easy access everywhere. Not only this, even when we talk of the type of amenities and facilities one can enjoy at Dadeland Cove, the list is endless. They have a 24 x 7 valet and concierge service along with an owner’s lounge and a children’s playroom as well. Not only this, you also have one of the best spa and the right kind of training and gym equipments as well. So no matter what kind of facilities you want, you would find all of it here and it is sure to help you enjoy your life and upgrade your living standard in the best manner. So, explore the options and make the right choice. In the past few years, Miami is experiencing a continuing development of modern commercial and residential building. Their amazing architecture gives a new look to the structure of Miami and rises up the living standards to the top of the line. With the well-maintained architecture of these buildings, the residents will never have a problem of space n the rooms, roof, and in the parking as you will get enough space that you can enjoy for your requirements. The Dade land Condos in Miami is one of those spacious properties that you will prefer to buy over the other properties in the neighborhood. To make it simple; located at 10105 SW 77th Ct in Miami, the Dade Land Condos is newly developed resident community and attracting a number of people around the world to invest in this modern community. The beauty of this region is not restricted to its beaches but also the sky-high residential and commercial towers are also adding its portion in its popularity. In Miami, Dade Land is a well-known community and it is dedicated to the romantic gardens, waterfront apartments, and popular public walks. In whole Florida State, the Dade County of Miami City is the most desirable place to live and enjoy the life. The city of Miami has a tropical weather with the clear sky and it is very popular especially during the spring break and winters. The young generations go wild in this season and enjoy their lives to its fullest. 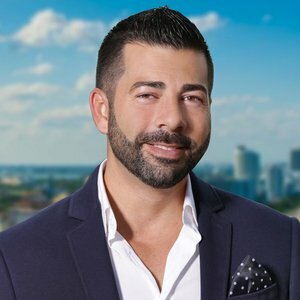 If you prefer to invest in the Dade Land Condos then you are suggested to visit their official rental website at https://dadelandcove.com/ and search for the condos that are available to BUY or RENT. At the website, you will also get the information related to the floor plans and the price including all the taxes. You can also seek the help of real estate agents available at the website. dadelandcove.com - All rights reserved.